I am a turkey, I mean not. I'm a little girl, see I have hair on my head. 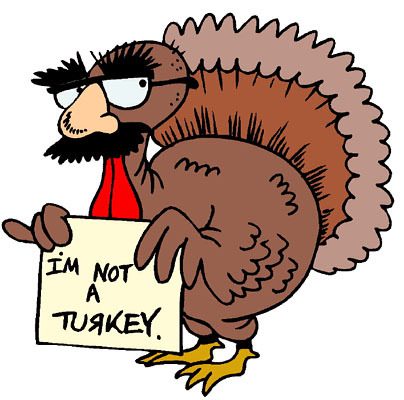 Turkey's "gobble" don't have hair "gobble." I have a dress and matching shoes, "gobble." See? I have lips, "gobble." Turkey's don't have, "gobble" lips, they have beaks. See? And do, "gobble" Turkey's have clothes? "Gobble." Glad to know you are not a turkey. I know lots of turkeys though . . . you the type!! Laurel Elizabeth Davis . . . I have a suggestion. All the blogs I follow also have a list of people THEY follow. How come you don't follow your brothers and visaversa? Then I could just click on the link! So I guess it helps me too. But who knows . . . you may want to check theirs out someday. I mean, don't you want to see if they are saying anything about you? And if they do, what it is they said? Just a suggestion from your old Aunt!